Whether or not you use Xero for your business, you can enjoy the great Xero functionality to manage your personal finances. Boost Bookkeeping can set you up with a Xero Cashbook to monitor your personal income and expenses. This will enable you to find out where your money is going and to identify areas where you can save money. For a one off setup fee Boost Bookkeeping can get you set up with a Xero Cashbook and provide an online training session to enable you to manage your personal finances with ease. Xero Cashbook is only available via a Xero Partner so you won’t see it advertised on the xero.com.au website. Download the One Page Summary of how Xero Cashbook can help you reach your financial goals. 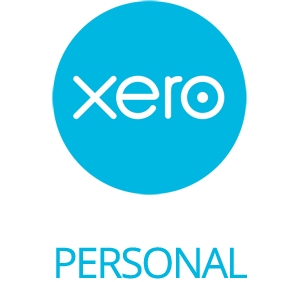 There is a small monthly fee for the Xero Cashbook software, a really small investment to keep track of your personal finances, contact robyn@boostbookkeeping.com.au for a quote. You can manage all sources of income and any work related or tax deductible expenses to ease the pain at Tax Time each year. This software will also enable you to summarise Investment Property Income and Expenses and report on your overall financial position at any time. Having easy access to the value of your Assets (what you own) and Liabilities (what you owe) is a great advantage when dealing with banks or financial institutions to obtain finance for Loans or Credit cards. 45 minute Online Training to learn how to use the software and access relevant reports. You will just need to complete a quick checklist and you will be up and running before you know it! Use Xero Cashbook to manage your personal finances and see where your money is going! Contact Robyn on 0418 774 272 or robyn@boostbookkeeping.com.au to find out more.